Canada has a lot to offer between its wide open spaces, beautiful cities, the Rocky Mountains and the Arctic archipelagos. If this isn’t enough for you, here are 10 reasons to visit this unique country. This year, Canada is celebrating its 150 birthday. There are endless special events, offers, and competitions in honor of this special birthday throughout the year, however, the biggest and most special celebrations are to occur on Canada Day, which is July 1st. Other than Ottawa, the capital city of Canada, Vancouver hosts the biggest event that will last for two days. In Ottawa, the party happens at Parliament Hill and is full of musical performances, fireworks and other exciting events. The Canadian exchange rate this year specifically is great for Americans and Europeans. One euro is approximately $1.41 Canadian, while one American dollar is $1.33 Canadian. This is a big improvement from past years, and travelers should most definitely make the most of this and come visit Canada. You probably can’t think of a uniquely Canadian dish, since the country does not really have any famous specialties. 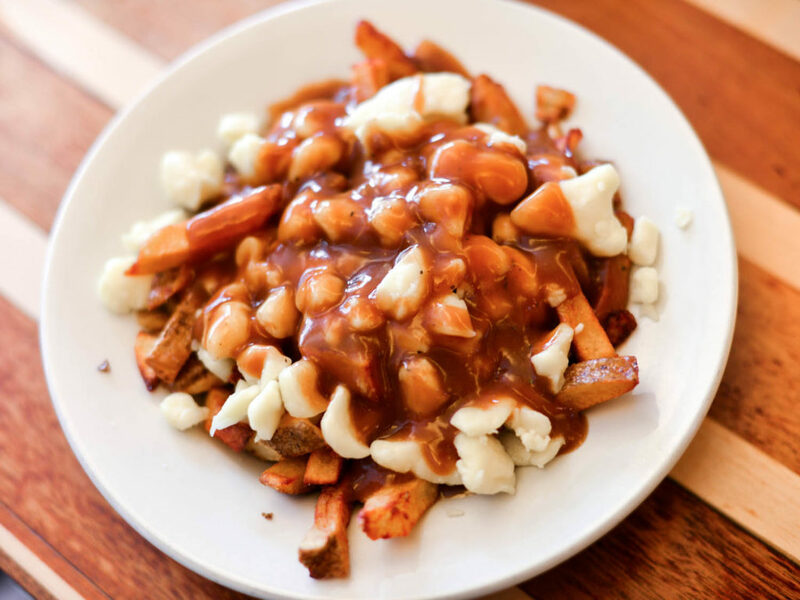 However, poutine is their national dish and should not be missed. It’s french fries covered in cheese curds and gravy. Another item is a beavertail, which is a sweet treat made from fried dough and is covered in all kinds of toppings such as maple, chocolate or fruit. According to Lonely Planet, the world’s top travel publication, Canada it the top place to go for 2017. You should probably listen to them, they know what they’re talking about. Although you surely already are aware that Canada is stunning, you probably don’t know how many landscapes this country actually has. British Columbia is full of luxurious ski resorts and charming towns. 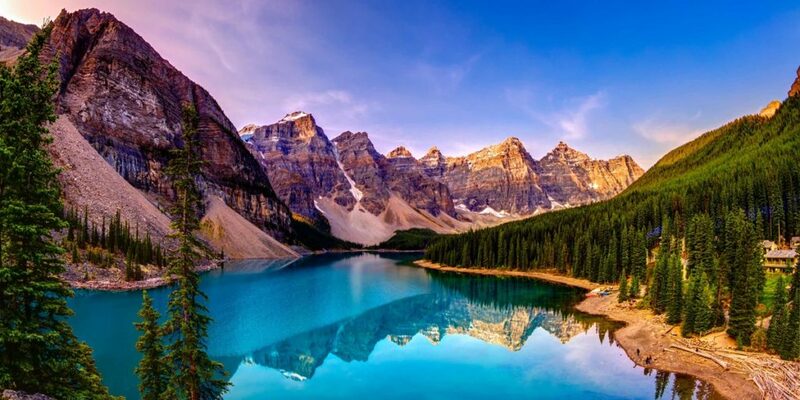 The Canadian Rockies are to be found in Alberta, with perfectly turquoise lakes and don’t forget the Badlands. Nunavut also offers unbeatable views. Basically, Canada has got it all. The city of Montreal as well is celebrating a big birthday this year, 375 years to be exact. Montreal this year has over 175 festivals, cultural events, activities and musical performances planned. There will be an open-air museum, the Biosphere is to be illuminated, there will be a summer symphony concert and a festival of Les Hivernales. Parks Canada is giving away free passes for the entire year of 2017. Yet another wonderful reason to visit Canada this year. The Discovery Passes enable visitors to have free access to all Canadian national parks, as well as national historic sites and marine conservation areas. Canada is the ultimate place for people who are looking for wide open spaces. Approximately 90% of the country is actually uninhabited. Space is filled with forests and icy landscapes rather than homes and industrial buildings. In nearly every city, you can drive to the mountains within half an hour. Canada has its advantages in every season. Summer is more crowded, however, it is also the time when there are free festivals and cities stop hibernating. Winter also has its benefits, such as the skiing. In Eastern Canada, orange, red and gold leaves fall from the trees in fall. And in spring, skiing is cheaper and lakes and rivers begin to thaw. The main reason to visit Canada is that there is always something to do. No matter the season, there is always an outdoor activity that can be enjoyed, whether it be skiing, hiking, kayaking, zip-lining, ice skating, or snowshoeing. The cities are full of museums and free walking tours. Oh Canada.